Rachel is back at it again. 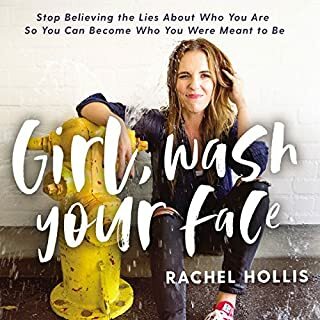 I have been follow Rachel Hollis since her Girls series was published and it has been a wild ride watching her grow into a woman who is confident, sharing her passions in a way that is refreshing and intriguing. This book is laid out in two parts: the excuses you allow yourself and the behavior and skills to counteract those excuses. It has a similar feel to Girl, Wash Your Face but I loved it just the same. I love that she takes the subject of shame and expectations head on and dives into some grey areas. It is interesting to see how she approaches the nay sayers and world we live in to give women another out from the “reality” we have been tied to. I am sure many will say that there is nothing new and this is all been said before, but when you add Rachel’s unique life experiences, humor, and quirky personality, it sheds new light on those relevant issues. The audio is perfect! It adds an element to the book that only Rachel can bring. I would highly recommend this one! She nailed it! I am very picky when it comes to any kind of self-help motivational book. Half the time they make me feel worse about myself and the other half of the time I get mad, feeling like my frustrations are belittled. So when I find one that actually sticks, a story that is soaked in authenticity and realistic ideas and practices, I get it. 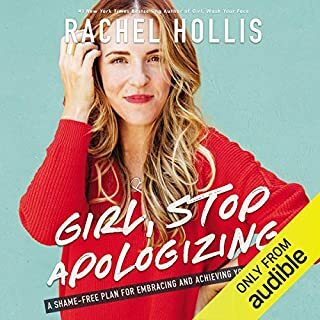 Rachel Hollis has always had a fan in me. I have followed her story over a few years and celebrated her accomplishments along with the Instagram masses. To get to read this book, it puts everything in perspective. You get a glimpse into the life of a woman who is shaking things up. Girl, Wash Your Face is written with so much bravery. Hollis takes the reader into her insecurities and share the truth she has learned in her life. That makes this book on that can be read and used as a stepping stool to evaluate where you are in life and where you want to be. For every lie you believe, there is a truth waiting to abolish the lie and take you to a new truth in your life. I highlighted too many parts to keep track of! This book will be one that I re-read many times in the future. 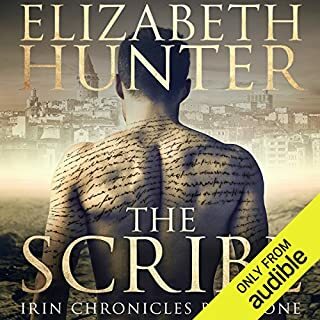 I would recommend this to anyone who loves good books, enjoys paranormal stories, and fans of Elizabeth Hunter. The story is captivating; the book blends the paranormal and supernatural with the Old World beauty found in Turkey. It is intriguing and well written. Hunter creates a world that is well developed and you cannot help but be drawn into the beauty of it! The narration was fantastic. The pacing was spot on and the emotion was well portrayed. The switch between different accents was well executed! Yes it was! I would sit in my car, even after arriving to my end destination, so I could listen to a little bit more!